This is the prosthetic gelatine used in the creation of our appliances. 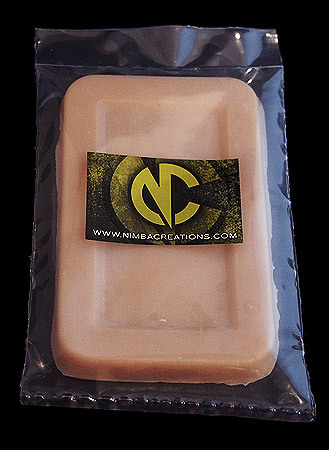 Simply melt gently in a microwave or in a cooking pot and pour into your own moulds to create professional prosthetics. Bad castings can be re-melted and used again. A very versatile material. Also comes in 400g blocks and 1 kilo blocks for larger castings. Great quality gelatin, east to work with and picks up amazing detail.